Chris Carter is the Deputy Director of the VSGC where he oversees the Consortium’s comprehensive higher education, precollege, and outreach programs including VSGC’s scholarship and fellowship program and several internship programs. The VSGC receives seed funding from NASA to coordinate and develop STEM education, research, and workforce development programs statewide. Carter currently serves as the PI on the Expanding Geospatial Technician Education through Virginia’s Community Colleges (GeoTEd) project funded by the NSF’s Advanced Technological Education (ATE) program. Carter holds a B.S. in Management Science from Virginia Tech and an M.Ed. in Instructional Technology from East Tennessee State University (ETSU). Prior to joining the VSGC, Carter served as Training Coordinator in the Office of Human Resources at ETSU. He has also worked as a Workforce Training and Development Instructor with the Adult Education Department Virginia and as an adjunct faculty at several community colleges. 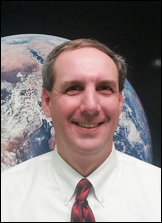 Scott Bellows serves as a Technical Programs Coordinator at the Virginia Space Grant Consortium where he heads GEOTREK-12. Scott has 12 years of experience in geospatial technology (GST). 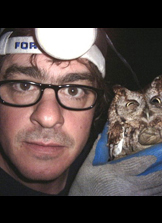 Scott specializes in spatial modeling of ecological survey data and spent six years teaching GST courses at Old Dominion University, Norfolk Virginia. His primary research involved working with the Mosquito Control Commission for the City of Chesapeake, Virginia, to develop GIS-based models for identifying the habitats of mosquitos responsible for the transmission of West Nile Virus and eastern equine encephalitis. Scott has also worked with researchers at the Virginia Coast Reserve Long-Term Ecological Research Project in developing GIS models for isolating geomorphic landscape features.